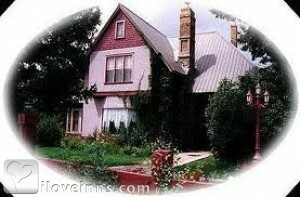 Chama bed and breakfast travel guide for romantic, historic and adventure b&b's. Browse through the iLoveInns.com database of Chama, New Mexico bed and breakfasts and country inns to find detailed listings that include room rates, special deals and area activities. You can click on the 'check rates and availability' button to contact the innkeeper. Chama is a village in Rio Arriba County, New Mexico. The peace and quiet is accentuated by forests, lakes, and rivers around the village. While in Chama, ride a train at the Cumbres and Toltec Scenic Railroad, one of the 20 best train rides in the world. Go fishing or boating on any of the many freshwater bodies in the area. These are Acascosa Lake, Brazos River, Fishtrap Lake, and Stone Lake. Other options near Chama are Nutrias Lakes, and Stinking Lake. High Country Lounge is the favorite dining and drinking spot of the locals and visitors. Chama bed and breakfast inns offer the best in hospitality and romantic lodging and innkeepers are happy to help in facilitating tours and other activities. By Parlor Car Bed & Breakfast.